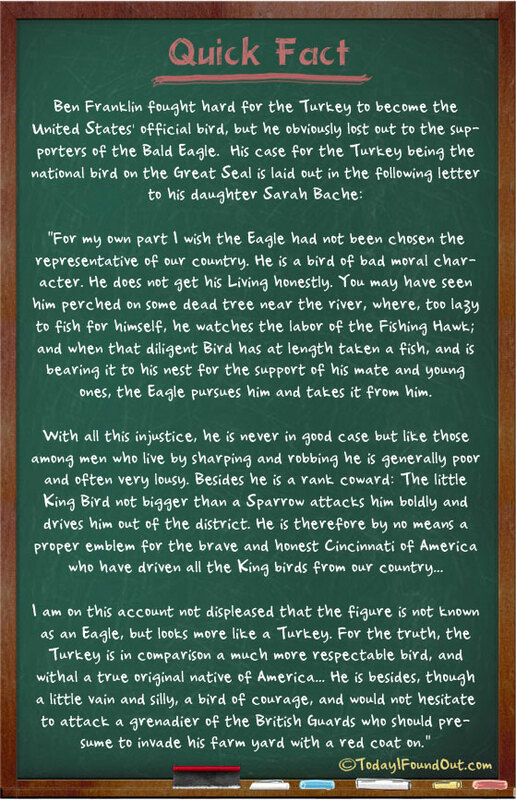 “For my own part I wish the Eagle had not been chosen the representative of our country. He is a bird of bad moral character. He does not get his Living honestly. You may have seen him perched on some dead tree near the river, where, too lazy to fish for himself, he watches the labor of the Fishing Hawk; and when that diligent Bird has at length taken a fish, and is bearing it to his nest for the support of his mate and young ones, the Eagle pursues him and takes it from him. these quick facts are getting pretty long.